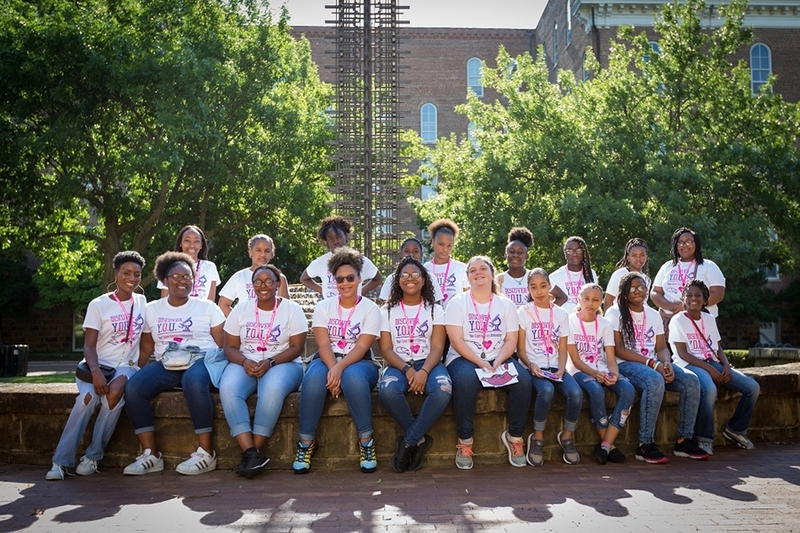 Tameka Jennings, clinical assistant professor of biological sciences, is pictured with students from the Biomedical Girls Research Camp. The group traveled to campus from Dumas and Gould for a first-hand look at careers in biomedicine. "There is so much pride in Gould and Dumas," she said. "I am a native of Gould, and I love my community. I have dreamed of creating this camp since I was in high school — this camp is my dream realized. "I have personally visited the schools and am active in my community so the communities understand that the U of A is invested there. I want my family and friends to feel like this is a sincere investment and not some research project. I want the teachers and parents there to know that they've done an amazing job with their students." The experience was more than simply looking around — campers had an opportunity to conduct their own experiments thanks to volunteers from biological engineering, biological sciences and exercise science. Students visited the Engineering Research Center at the Arkansas Technology Park and dissected a pig heart, examined a frog's nervous system and participated in exercise physiology labs, among other activities. "In addition to the biomedical engineering heart lab and Engineering Research Center tour, the students got a broad scope of biomedical research," Jennings said. 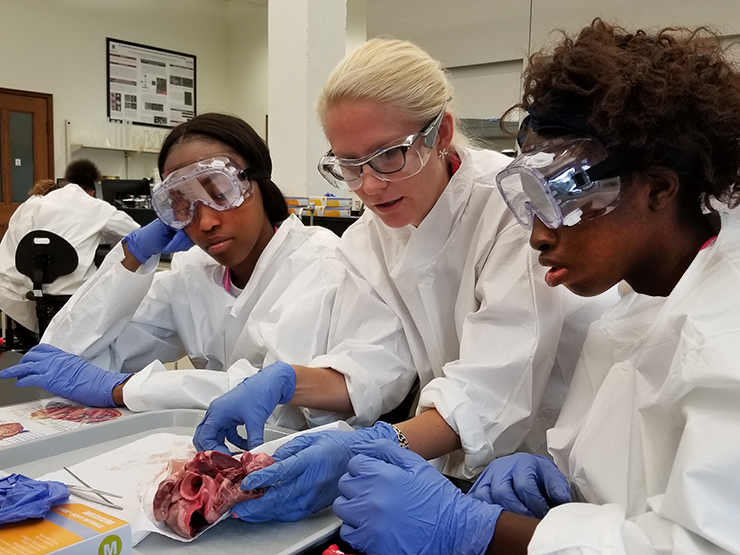 Topics included embryology, the nervous system, neurology, medical microbiology, epidemiology, environmental science, oncology and cardiology, all accompanied by experiments and other activities to give campers a hands-on look into those fields. "For one, it exposes young black women to the wonders of science in a way that is fun and engaging," he said. "Second, this camp helps these young women understand that the University of Arkansas is a place that is for them. 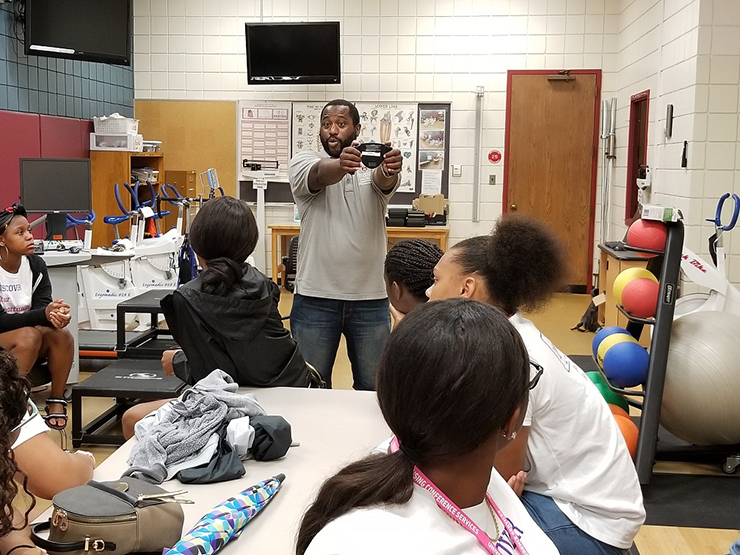 "I had so much fun interacting with these young ladies and exposing them to exercise science. I hope in the future that the camp can be expanded to offer more people of color an opportunity to see just how fun science can be." "For us in biomedical engineering, we are deeply committed to recruiting students from underrepresented minorities," Jensen said. "Studies are clearly indicating that a diverse workplace will benefit everyone in our program, something that we, already a diverse faculty, are keenly aware of. We embraced this opportunity to welcome these high-schoolers to our department and labs." "The girls were engaged and a delight to interact with," she said. "We sure hope to see some familiar faces in our Introduction to Biomedical Engineering course in a few years." "I want them to feel that we are there because we know that they are the next generation of STEM and biomedicine professionals," she said.